Newbegin thinks many of today’s colognes smell like crap2: “...thin, fake, grody, and turned up to 11." The contemporary perfume world is a big and varied place; and the women=flowers, men=musk idea is outdated; now, mainstream perfumes follow a formula that’s more women=candy and men=tonka beans and ozone. Today, musk is white (and decidedly unisex) — clean and redolent of the laundry room in full swing: dryer sheets swirling, detergent bubbling. We are the world’s only wild fragrance company. We’re hikers and backpackers, not fashion or luxury-industry types. We distill colognes and perfumes from real plants, bark, moss, mushrooms, and tree trimmings found hiking the backcountry. A hundred years ago all perfumes were made this way. Today, we’re the only ones who handle every step of the process ourselves, from beginning to end. I’m sure many indie natural perfumers out there would disagree with this boast? Juniper Ridge’s rusticity is a touch self-conscious (they are based in Oakland, California) — perhaps it's a marketing ploy to attract city boys who dream of life in the wild (or at least a long vacation there). But every company needs its niche and its tactic to lure consumers, and I could care less about Juniper Ridge’s PR stance or he-man distillery practices; I just want to smell the perfumes, and if they’re good, or as advertised: “The Mountains in a Bottle,” who cares about the rest? Caruthers Canyon presents a lush — almost “smoky” — cedar experience; the woods are green-tinged (dill? tangy compost bin accord? ), with a “dirty” element. On one day, this dirty aroma was sensual (a backpacker who showered in the morning and was only a couple of hours into a hike) and on another day it was downright filthy (the stale-sweat, sebum-caked armpits of someone who had not showered in a week). 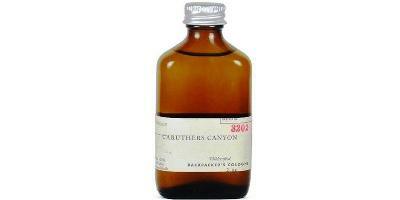 Caruthers Canyon delivers on Juniper Ridge’s promise of the scent of unadorned (and un-scrubbed) nature in a bottle. Though the sillage is not powerful, I’d be wary of wearing Caruthers Canyon anywhere outside my home (wearing it outdoors would be OK, too). If you love funky aromas, and the scent of unwashed humans mingling with the smells of "raw" woods…do try Caruthers Canyon! At first, Siskiyou is brighter than Caruthers Canyon; it’s as if the buoyant, sparkling elements of conifers (pine, redwood) have been extracted from the needles and bark. Minutes after application, a “foody” aroma emerges (“mountain” ceviche made with mushrooms and sap instead of seafood and citrus). Siskiyou smells like you've fried a simple supper on an open fire in the middle of the woods, using an ancient iron skillet and lard; imagine sniffing a wool sweater or jacket (or head of hair) that’s absorbed cooking aromas: grease, fried pancake batter, gravy. A better name for this perfume would be Siskiyou Campfire Cologne. Only at the end of its development does Siskiyou revert to conifer/cedar aromas (light and airy by this time). Both Siskiyou and Caruthers Canyon disappear on my skin quickly (Siskiyou in 60 minutes, Caruthers Canyon in about three hours); based on that criteria, the perfumes are expensive. Since both of these scents are available in Cabin Sprays (home fragrance) at double the ounces for $35 less, I’d be curious if they’d be as good on skin, given the short duration of the perfumes. Also, keep in mind Juniper Ridge colognes have harvest numbers on their labels denoting a particular batch (the scents vary from batch to batch). Verdict? Juniper Ridge perfumes are interesting, unique, devil-may-care in character...and worth a sniff. After spending two days wearing Siskiyou and Caruthers Canyon, I decided I preferred my cedar perfume to smell more like Christian Lacroix Tumulte. The night after I finished my Caruthers Canyon testing, I scrubbed myself with a washcloth saturated with frankincense and myrrh bath gel and then dabbed on a drop of circa 1970 Jean Patou Joy parfum. Boy, I love me some of that Paris perfume crap. Juniper Ridge Siskiyou and Caruthers Canyon perfumes are packaged in splash bottles, 60 ml, $100; Cabin Sprays are 120 ml/$65. 2. Newbegin used a more colorful term. 3. Men's Journal, Juniper Ridge is Tracking a New Scent. So refreshing we can count on you to cut through marketers’ hype/pretensions! While I’ll be interested to try Juniper Ridge, I love me some of that Paris perfume crap too. galbanum…it’s nice to explore the fancy and the “rough”, too, isn’t it? Curious how many people have tried these. Great review, but I’m afraid what it’s really got me craving now is some vintage Joy. Janice: vintage Joy is some great stuff. I wanna try this brand out. I think they have a sampler kit for like 20 bucks or something…but goodness, dill?!!! Eck. Omega: don’t undervalue dill with cedar! HA! (the green note is grassy/weedy…interesting). Ha! I bought both of these for my hubby….he’s that outdoor kind of guy that even though he’ll wear other fragrances that I buy him, I figured he’d like these. He does. Yes, they only last 1-2 hours. I will say that they smell authetically outdoorsy. We live in the high desert and I actually found Siskiyou to smell more like the high desert….dry, kind of sweet, kind of herbaceous, with a juniper note which frankly in real life, smells like cat urine. But good cat urine? So hard to explain, but when it rains the air just punches you in the face with this piney, nose-clearing, almost-bitter scent. Carruthers Canyon smelled to me like rainy season on the Olympic Peninsula. To me, these are more emotive scents than anything you would wear to smell ‘good’. I, too, will stick to my Guerlains. audreylicious: I know exactly that scent you describe in the high desert after rain…a wonderful aroma. Yes, I think pretty easy for pine or juniper to wander off in the cat urine direction, but as long as the piney scent is still present, you just take it in stride. In your pickup truck. Just kidding. I commented elsewhere on NST that their soaps, to me, have aromas that are quite wonderfully soft and evocative of the outdoors, without any wet wool, gravy, pancake batter,or even sweat . Carried on a trip as host gifts, they perfumed my luggage nicely. My dirt encrusted saddle bags smelling of horse sweat. Just kidding again. But you know something? Because of you, Kevin, I was testing Eau d’Hermes just yesterday. Talk about armpit notes! Phweesh. You sure the French know what they are doing? DONNIE: you know Eau d’Hermes prepared me for the likes of Juniper Ridge scents! I like the J.R. soaps too…I believe they have incense too which I should try. Their incenses are nice! I have some of the sweetgrass incense, and I really like it. Douglas fir needle tea? That sounds intriguing! We made tea from Douglas Fir needles at camp when I was a kid. I remember liking it. For me perfume is about glamor and refinement so I really can’t relate or reconcile any of this company’s philosophy to my own. I like the idea of a rustic perfume, but I would want it to be abstracted and larger than life and I am sure this would require cutting edge synthetics and naturals. 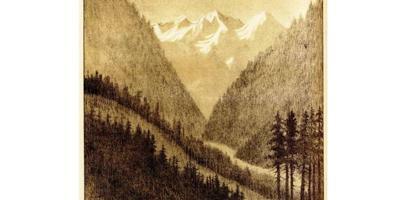 BChant…I’m sure you’re right…so it sounds like the Juniper Ridge is not for you. (I’m betting women, for the most part, won’t wear these…it would be interesting to see Juniper Ridge produce a more unisex product…using very select wild ingredients). Don’t underestimate us: I liked the funky aromas in Caruthers Canyon way better than my husband did. Morgana…thanks. Do you wear it? BChant : I so agree, well said. These fragrances don’t sound like my cuppa tea, I prefer something a little more refined and glamourous but I have a backwoods hiking, pot smoking, Hippie guy BFF who will probably LOVE these, I will see if I can get a few samples as a stocking stuffer for him, great review! RoseRed: they might be perfect for him. I remember when these guys used to sell incense, soap, and essential oils at the downtown Berkeley Farmers Market. I always thought that their products were ridiculously overpriced. So it kind of makes sense that they are aiming for a piece of the high end fragrances market now. To be fair, however, the quality of their stuff has always been good, so maybe I should give one of their “rustic” fragrances a try. DougH: I used to give out their soaps around Christmastime as stocking stuffers…people always loved the soaps. Their California Bay Laurel soap smells wonderful. I think that it’s discontinued. I’ve been to Caruthers Canyon , so I had to sample that one. I purchased samples of Caruthers Canyon, Siskiyou, and Wild Plum Campground from Surrender to Chance. It’s been a while since I tried them, but I remember thinking that they smelled great in the sample vials, but I would prefer them to scent my home, not my body. I tested them on skin and one of them definitely gave off a urine vibe. I just re-sniffed my vials, and the Caruthers Canyon does NOT smell like something I would spray in my home or wear — oh, my. KindCrow: seems like the Wild Plum has disappeared…was it “fruity” at all? I’m glad you reviewed these, Kevin! I love the outdoors, so I’ve been curious but also leery of anointing myself with basically extract of wild mulch. The photos on their website show them out there ripping up great piles of stuff with chainsaws and joyful abandon – what about the poison ivy, venomous insects and hallucinogenic/deadly mushrooms lurking among those branches? You haven’t noticed any unusual symptoms recently, have you? Noz…unfortunately, no! Ha! Maybe they can throw in some San Pedro cactus for me!!! Totally random association, but your comment makes me think there should/could be a related scent called Frog Licker. Although that sounds more like an Etat Libre d’Orange scent name. . . I can also imagine Toad Licker as a DS & Durga, LOL! He really nailed the state of mainstream perfumery, didn’t he! Kevin I love that after your testing of these scents you turned to a good old dose of feminine French perfumery! Nice review. I think I’ll skip the scents myself. Though I love herby woody scents I suspect I’m a sucker for those done the French way……ahem. There is a shop here in the UK called Toast. It sells clothing mainly but some household goods too and it’s aesthetic is stylish, quality out doorsy with a dose of luxury on the side (nothing mucky). I have a soft spot for it and have noticed some shops sell the Juniper Ridge incense and soap. I think I’ll give some a go. Donanicola: I’ll put Toast on my “list” for London. Interesting concept/gimmick but I need more than one hour out of a perfume. If it lasts such a short time on you I shudder to think what it would do on me. Gone in 60 seconds? I suppose he’s speaking generally or on the more commercial scale, but I think considering the market corner he’s in – niche – people interested in those kind of lines know it’s not just the French making interesting scents. As far as the US in concerned, the ones that pop out at me for interesting scents and fantastic quality are Slumberhouse and SSS (I mean people who are actually creating their scents). But I wouldn’t consider lines like Byredo or SL to be churning out typical stuff either. And the Juniper Ridge stuff did remind me in a ‘rougher’ sort of way of one of the Naomi Goodsir scents – whatever the woody one was, like you were living in a pile of wood shavings in a lumberyard in the middle of a forest. Smelling them will probably make you want to sing the lumberjack song from Monty Python. You’re welcome! Very funny review. Yours is a different point of view than every other one I read which all were raves and which took the company’s claims at face value. (By the way, if they really are obtaining their materials from forests, I hope they are doing so on a private land with the permission of the owners, commercial gathering of mushrooms, plants, logs etc. will have an impact on nature). I disagree that natural forrest scents somehow are dirty rather than refined. I can think of no more beautiful and elegant scent than Muir Woods outside San Francisco or the Adirondacks this time of year. While a hiker at the end of mountain climb might smell sweaty, the woods themselves are smell great. I don’t know where I read it, but I could have sworn I read a blurb from the founder where it said the woods and things they used were foraged/naturally discarded or fallen. Which would be good, obviously. TheSnailsPJs: yes, he gets permission for all harvesting…the info is on the JR website and in the article I referenced. Yeah, I’ve spent A LOT of time in the woods, and I may smell some sweat along the way (although the clean, fresh air reduces that, too), but I’ve NEVER smelled like urine! MR: I have been in woods when they are damp (esp. woods full of conifers) and there is a urine-like smell emanating from the bark/needles/sap?…but I find the smell invigorating. Also, there’s an herb growing wild up here in the Pacific NW that smells exactly like wet dog…I have yet to figure out its name, because I want some in my yard. I find “wet dog” comforting. Muir Woods is always my answer to those polls asking what natural scent one would most like a perfume to recreate. When I read about this brand, that’s what I hoped it would smell like, sigh! Dilana: true..I’d love to smell like the Hoh Rain Forest or Ruby Beach (here in WA state). But if you took the elements of the Hoh, ground them up, boiled/steamed them…they’d smell different, that’s for sure! HA! Hey Kevin, what’s that frankincense and myhrr bath gel you mentioned? I’m curious. Too bad the frangrances are no match for the earthfather lingo…a lot of fearless honesty from male warriors is NOT what I want in a fragrance. Too many twigs and mushrooms, and not enough Cognnac!